We are at the dawn of the next industrial revolution, says Michael Dell, chairman and CEO of Dell Technologies. Dell today closed the $67 billion transaction to combine two global technology heavyweights - Dell and EMC - in the largest technology merger in history. Today's announcement follows regulatory approval of the Dell and EMC transaction by China's Ministry of Commerce, which granted clearance for the companies' proposed combination. Dell Technologies, the name of the new combined company, began operating immediately following the close of the transaction. The deal, announced on 12 October last year, took nearly 11 months to complete. Dell and its partner investment firm Silver Lake raised more than $40 billion in debt. The company also brought in more than $5 billion through agreements to sell its IT-services business and software divisions. The approval in China was the final regulatory condition to closing the transaction. EMC shareholders approved the transaction on 19 July, with approximately 98% of voting EMC shareholders casting their votes in favour of the merger, representing approximately 74% of EMC's outstanding common stock. This combination creates a $74 billion privately-held tech giant with an expansive technology portfolio including hybrid cloud, software-defined data centre, converged infrastructure, platform-as-a-service, data analytics, mobility and cyber security. "We are at the dawn of the next industrial revolution. Our world is becoming more intelligent and more connected by the minute, and ultimately will become intertwined with a vast Internet of things, paving the way for our customers to do incredible things," said Michael Dell, chairman and CEO of Dell Technologies. "This is why we created Dell Technologies. We have the products, services, talent and global scale to be a catalyst for change and guide customers, large and small, on their digital journey." He added that the corporate structure enables company the flexibility to innovate like a start-up and invest in R&D for the long term while offering the trust, service and global scale of a large enterprise. Dell Technologies says it blends Dell's go-to-market strength with small business and mid-market customers and EMC's strength with large enterprises and stands as a market leader in many of the most important and high-growth areas of the $2 trillion information technology market, including a portfolio of more than 20 000 patents and applications. When the transaction closed today, EMC shareholders received $24.05 per share in cash in addition to tracking stock linked to a portion of EMC's economic interest in the VMware business. Based on the estimated number of EMC shares outstanding at close, EMC shareholders received 0.11146 shares of new tracking stock for each EMC share. The value of the tracking stock may vary from the market price of VMware given the different characteristics and rights of the two stocks. 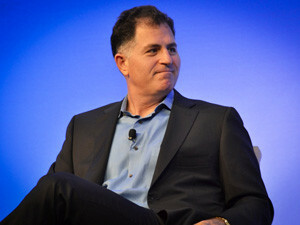 As the resulting company takes shape, Dell founder Michael Dell, who remains the chairman and CEO of the new Dell Technologies, has been named chairman of the board for VMware. Former VMware board chairman Joseph Tucci is resigning, along with John Egan, who's been a director on the VMware board since 2007. Egon Durban, managing partner and director of private equity firm Silver Lake, will take Egan's position. "We are thrilled to welcome Michael Dell and Egon Durban to the VMware board of directors," says Pat Gelsinger, chief executive officer of VMware. "As we continue to grow as a strategically aligned business within the Dell Technologies family of businesses, their perspective and leadership will prove invaluable. With the continuation of six board members and the addition of Michael and Egon, I'm confident in the continuity and strength of the VMware board." Meanwhile, analysts told ITWeb earlier that Dell's mammoth $67 billion acquisition of EMC will not have an impact on the South African market for the time being.